Mirage, woodcuts, Institute of The Blind, Hellerup, 2007. 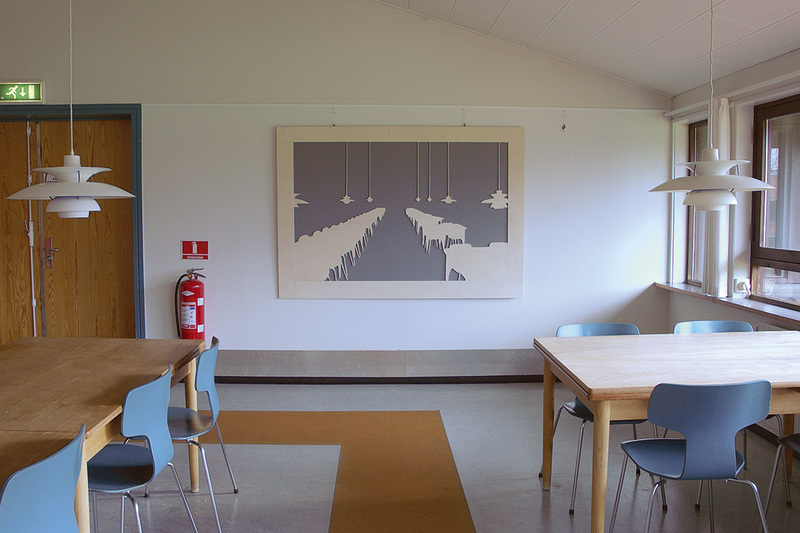 Installation of two woodcuts, placed in each end of the canteen at IBOS. The woodcuts are reflections of the room that they are in and at the same time becomes extensions of the room. Collection IBOS.